According to a recent news article from the Washington Post, a federal watch group reports the United States Food and Drug Administration (FDA) exercised “lax” judgment and made “questionable” decisions to be accommodating to the pharmaceutical maker Boehringer Ingelheim when reviewing its application for the anticlotting medication known as Pradaxa. Some of the specific claims were that FDA set loose safety standards for use during the drug company’s human clinical trials for Pradaxa and also that FDA did not require manufacturer to provide a complete and appropriate warning to prospective patients about the health risks of Pradaxa. The watch dog group released a report over 80 pages in length detailing the review process FDA used when it approved Pradaxa as ready for market. As part of its research when preparing the oversight report, the agency interviewed patients taking the drug and those who had considered taking the drug but opted not to do so. The agency also went through thousands of pages of documents included in the FDA record of the application approval process for Pradaxa. 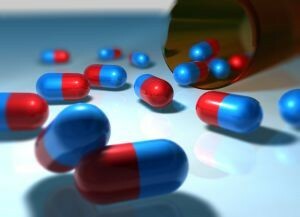 After completing all their research and eventually preparing the report, the report writers offered their opinion of the situation, which was that the FDA’s actions “did not inspire confidence” when dealing approval or denial of applications for prescription drugs controlling whether they are allowed to be introduced into the market. It was 2010 when FDA first approved Pradaxa for market. It is the first of what would become a new class of drugs known as new oral anticoagulants (NOACs). While they are typically thought of as true blood thinners, it is technically an anticoagulant, which operates somewhat differently. This drug was designed as replacement for Warfarin (Coumadin), which has been the industry standard for years in treating patients who suffer from a serious medical condition know as atrial fibrillation (Afib). Afib is a medical condition characterized by an irregular heartbeat. This irregular heartbeat can cause blood clots to form deep in the large veins of the legs in a process known as deep vein thrombosis (DVT). A DVT clot can break free from where it has been formed and travel through the body until it reaches the lungs. Once in the lungs, it can punch a hole known as pulmonary embolism (PE), or it can travel further, blocking blood to the brain and causing a stroke. While Pradaxa is an effective anticoagulant, it has been known in thousands of cases to result in a serious internal bleeding disorder. This bleeding disorder can include intracranial bleeding, or bleeding on the brain, as it commonly known. As our Pradaxa injury lawyers have seen in previous cases, up until a month ago, there was no FDA approved reversal agent (antidote), so there was often nothing doctors could do when patients came into the hospital suffering from internal bleeding. There is now an FDA approved reversal agent, but we have not yet seen how effective it will be. To make matters worse, the company has not slowed down or stopped sales of Pradaxa, but it is not trying to make additional money off selling their reversal agent.